There is a stereotype that exists in the wargaming community that annoys me. It paints people who like going to tournaments as people who will always bring the cheesiest lists and will always go for "The Win at all Costs" strategies regardless of how fun the game is for their opponent. Ever since i started back in this hobby in June of 2013 i have been going to tournaments and my experience so far has been the complete opposite. In all the tournament games i have played my opponents have always been friendly and considerate regardless of how well they wanted to place at the end of the event. Tournaments do not cater exclusively to power gamers or casual gamers, they will usually cater to both allowing people who want to win to get a fair shot at doing so and allowing those who are there for the more social aspect to also have a good time. Most tournaments will have scoring systems in place to allow people who want to win to get to the top of the table quickly while allowing people who don't care so much about winning to face other like minded people. The myth that tournaments are attended only by power gamers with broken lists is utterly false, yes people do bring tough lists and yes you may run into someone who has brought one but the game itself will usually be quite pleasant and chances are that the people who bring such lists will end up facing each other. Its a odd little quirk hat the people who most share this view are causal gamers, specifically casual gamers who have never gone to a tournament and who proclaim the loudest that they are all about the games they play being fun. But games at tournaments are fun, i have never felt that any tournament game i have played had been a waste of a game. And oddly enough some of the worst game of Wh40k and WHFB i have played have been against these same causal non tournament gamers. I want to tangent here for just a paragraph and speak about the pros of tournaments. 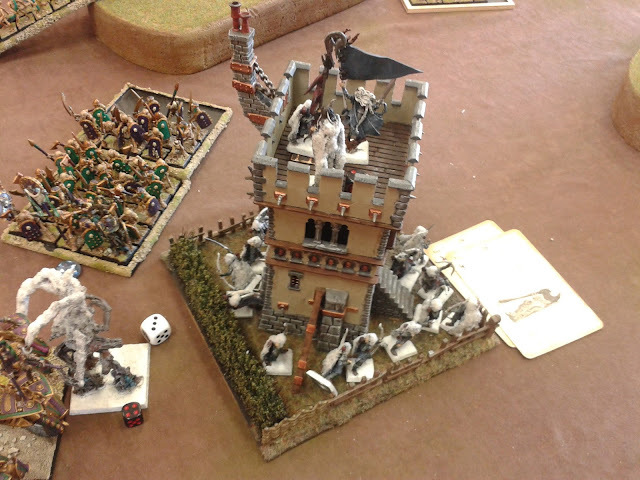 Tournament have several inherent benefits that make them great events for all wargamers as they not only allow you to stress test your army by allowing you to play 5 (sometimes more sometimes less) different opponents over 1 or 2 days but also they allow you to meet other people in the community and give you the chance to expand your group of wargaming friends. So lets end this stupid stereotype of the tournament goer being a "Power Gaming Neckbeard", tournaments are one of the bets aspect of the wargaming hobby and i highly recommend you go to at least one. In my experience the casual gamers who are "anti-tourney" are usually the ones more likely to want to play cheese, or used to playing too many "house rules"
Often too they are used to beating all their friends in the garage... and are disgruntled at not winning when they have entered a tournament. I used to encounter these types fairly often back in my days as a GW Redshirt. I completely agree. I really recommend everyone attend a tourney at least once, even if you don't play. It's pretty rare to see people arguing, or not having a great time. Lots of awesome people to meet, and armies to see! I have always found the most anti-tournament players, and the ones constantly complaining about net list and meta shifts, have never, and never do plan to attend one. Just like to rabble rabble in the background. Plus even in the main GT's, if you are playing less competitively, the bracket system will usually ensure you end up playing (after a round or two) with the people at your same skill/narrative level. It's usually only the top 20 (out of 200) that are usually pretty brutal. There is a mid pack, and then the guys at the end (like me), who are just slowing moving ork dreadnoughts around and having a blast.